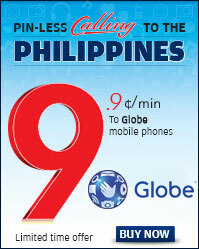 1-ClicMAX™ is a prepaid calling service that people are embracing all over the nation! It is convenient and easy to use and is backed by 24 hr Customer Support. 1-ClicMAX™ allows you to call worldwide without dialing any PINs or even phone numbers when using our awesome "1-Clic™" feature. 1-ClicMAX™ has no contracts to sign, NO expiration dates, NO maintenance fees, and no connection fees. You can purchase 1-ClicMAX™ at the nearest retail location nationwide, online, or by calling our 24 hr Customer Support line at 1-888-333-2404. (Para Español, por favor llame al 1-888-333-5154). Notice: The 1-Clic™ Number can be dialed directly from your mobile phone book or set up as Speed Dial on the handset. (This function operates differently depending on handset make and model). Manage your 1-Clic™ features and contacts online, ask your local Reseller or you may call our 24 hr Customer Support at 1-888-333-2404. Please check with your telephone provider to make sure that the Local Access Number you dial is LOCAL to your phone service to avoid paying long distance charges. Do not press TALK/SEND after dialing the destination number when using mobile phones. When you press "TALK/SEND" after dialing the destination number, you will put Lunex on hold and the line will be connected to your destination number via your mobile service provider. This could become very expensive since most international rates on a mobile phone are very high.